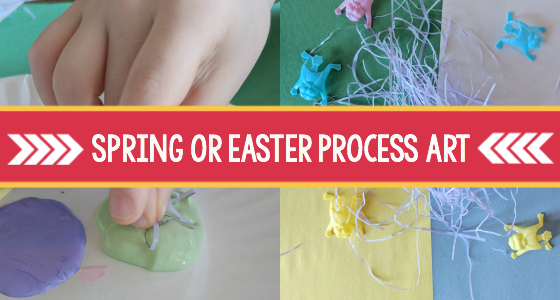 Learning about animals that come from eggs is a fun spring topic in many preschool and kindergarten classrooms. Animals that lay eggs are called oviparous. 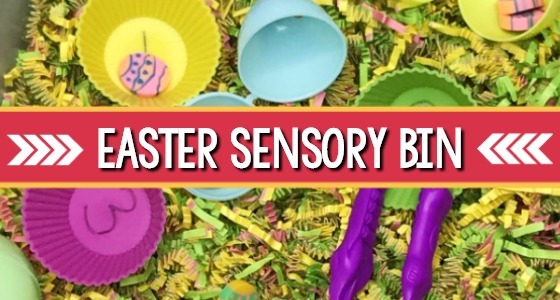 The concept of laying and hatching eggs can be difficult for young children to understand. 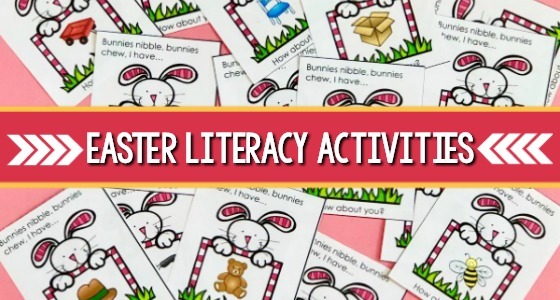 I have included a game below to help teach your students about oviparous animals in a fun, hands-on way, and a book list that includes eleven age appropriate books. Oh, and I even created a free count, tally and graph printable for you too- keep reading to grab your copy! Start your study of oviparous animals by reading books on this topic for a few days (see book list below.) 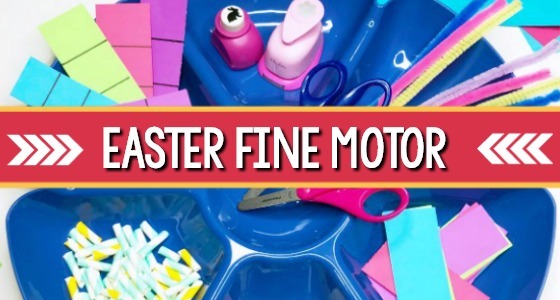 Before children can sort and label animals as oviparous and viviparous (live birth) they first need to learn which animals lay and hatch from eggs. When they have developed an understanding of oviparous animals, then they can move on to classifying oviparous and non-oviparous animals. 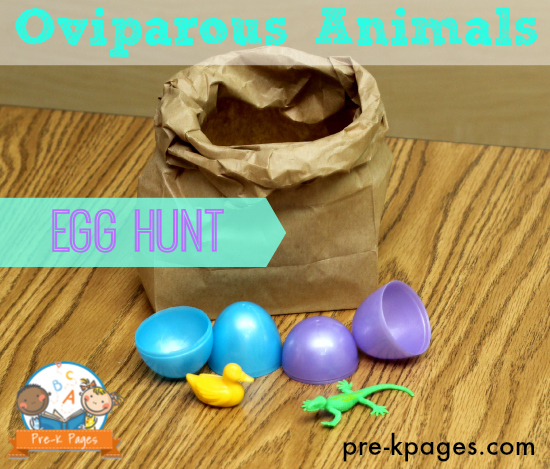 This activity focuses on identifying oviparous animals. Next, decide if you will be using plastic animals or the printable animals offered below. 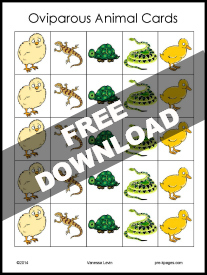 In the printable I included five different animals: duck, chick, turtle, lizard, and snake. 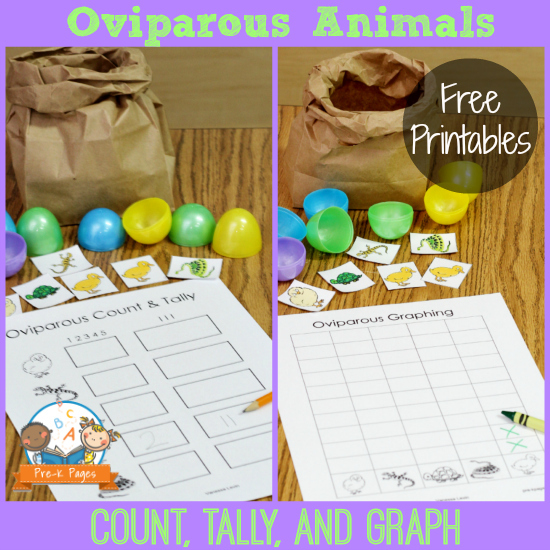 I know there are more than five oviparous animals, but using them all would have made the activity too difficult. Print as many copies of the animal cards as you need. 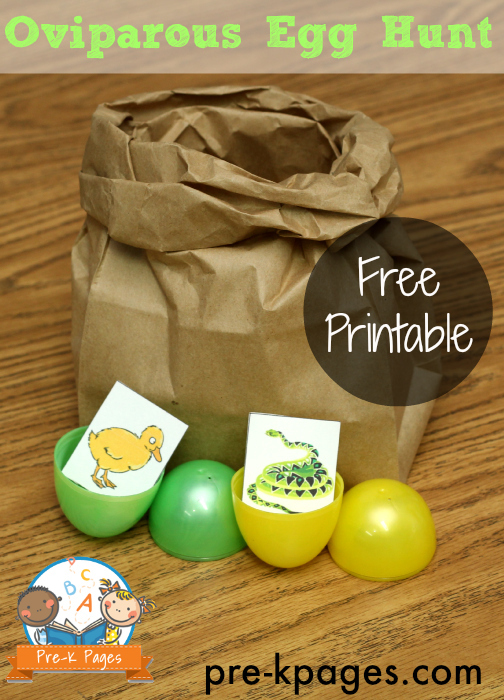 Place one animal card inside each plastic egg and hide the eggs around your classroom. 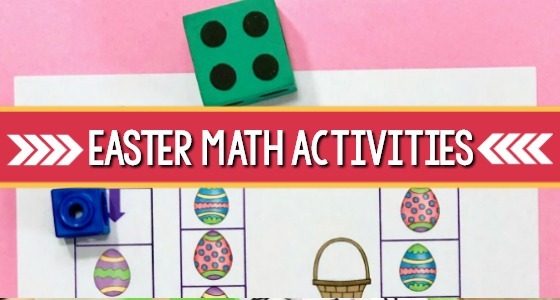 You will need to decide how many eggs and how many pictures you will need in order for this game to be successful with your class size. 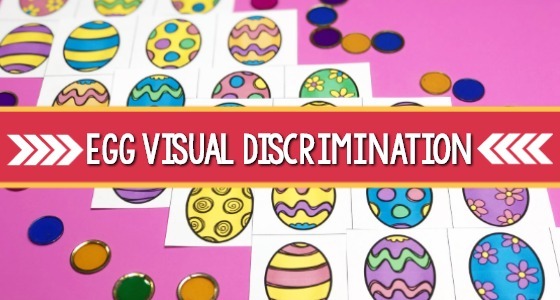 I suggest doing this activity in small groups to cut down on the number of eggs needed. 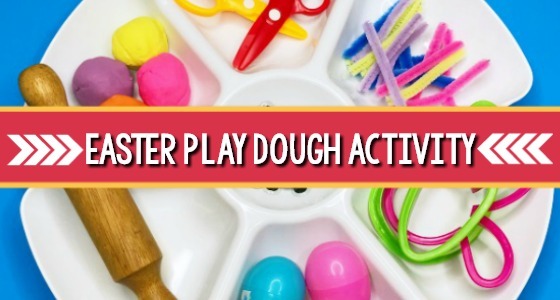 For example, each group of 4-5 students works together to hunt for eggs and complete the activity cooperatively. You can give each group a brown paper lunch bag to hold their eggs. When all the eggs have been found they can return to their group table and count, tally, and graph their finds. I have included the count and tally skills on one page with large boxes to accommodate emergent writers. On the graphing page you can ask your students to cross out one box for each animal, color in the box, or write actual numbers in the boxes according to their ability levels. You can also ask them to tell you which column has more and how many more they need in each column to make ten. 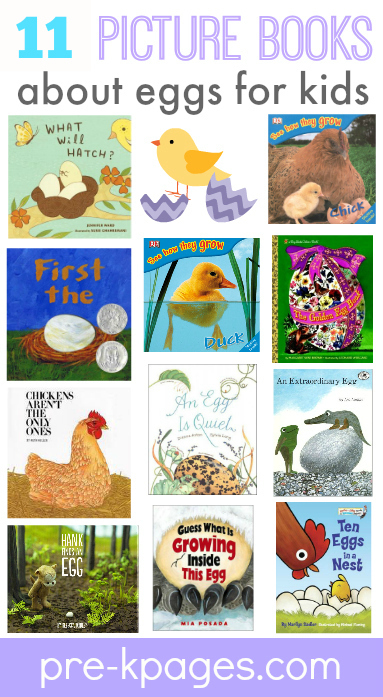 These are eleven of my favorite books about eggs for young children in preschool and kindergarten. I have included books with photographs on this list as well as picture books. My daughter (3 1/2) and I were talking about animals that hatch from eggs this morning using your pictures and I asked her to think about what other animals hatched. She said caterpillar and frog. We have just been talking about life cycles so those had been on her mind. Are they included in the same group or under something different. I had also said turtles. I just don’t want to get her confused. Btw, love the website and we are going to the library this morning to get the suggested books! Hi Tara, thanks for stopping by! 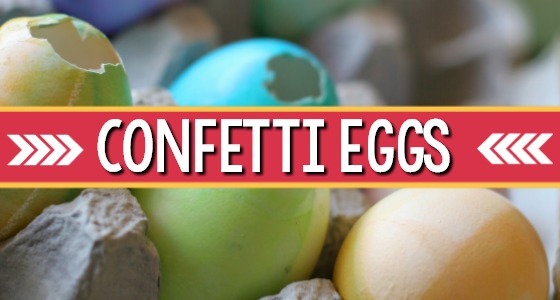 The animals included in the printable are just examples and are definitely not the only ones that hatch from eggs. As I said in the post, I had to limit the number of animals included in the printable to make the game work for large groups of children. There are definitely lots of others that also hatch from eggs, the books on the list will give you a much more comprehensive list. Ooooh, you left out A Nest Full of Eggs. It shows what is happening inside the robin’s egg at 3 days, 5 days, 9 days and 12 days (when it starts to crack). I tell the kids the ‘white’ (albumin) is the ‘pillow’, because it just so happens that it IS!! I have a B.A. in biology, and the white cushions the baby bird, so it is indeed a pillow!! Thanks for the book suggestion Chris, I’m always looking for good books to add to my collection!